I am writing to tell you how happy we are with the furniture we bought from your store. Both the Shaker style chest of drawers and the Shaker style dresser drawers we bought are beautiful. I am impressed with the workmanship/quality of the merchandise. I know I told you what we went through at Seaman's and how we had to return the furniture we bought from them.I also want to thank you for not being pushy salesman. I told you I needed to think about what style I wanted to buy and that I needed to bring my family in to okay the purchase and you understood that. I will definitely recommend your store in the future. We got Twin XL captains beds in all our Kirkland Fire Stations and couldn't be happier. Very impressed in the quality and workmanship of their products. We chose a 6 drawer bed and headboard. This was the perfect choice for us, we needed more storage space, but didn't have any spare floor space to create it. We only needed to put them in place and put a mattress on them. We were looking for durable beds made from real wood that were built strong enough to survive in a fire station. We found that at Gothic Furniture. Tony Stakis designed our beautiful corner TV cabinet, bookshelf with ladder and custom bedroom closets. They also redid our kitchen cabinets to match the new installations. Top-notch craftmanship! Rare to find solid real wood. The folks at Gothic are both knowledgeable in their work and craft and flexible in their designs. First-time guests often pay high compliments on the design and work. 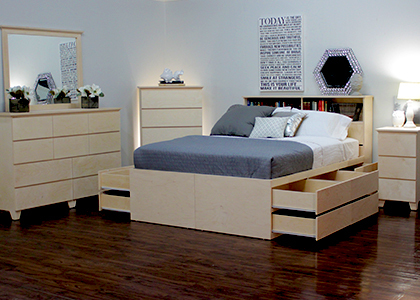 We are so happy with their work that we've hired Tony again to add custom shelving and amore bedroom closets. We want to thank you for the design and install of the radiator and air conditioner cover in our apartment. The unit looks fantastic! The team was great to work with and we are overall thrilled with the smart design you made. I just wanted to thank everyone at Gothic Furniture for their flexibility and willingness to help me with my purchase. We love our Gothic Furniture pieces and are complimented on them constantly. They are made well and last far longer than some more contemporary stores items. The customer service at the store on the UES is exceptionally helpful and professional. We recently purchased a platform bed in oak with 4 drawers in the base in a teak finish.The product arrived on time, when expected and in excellent condition. The two deliverymen were pleasant, neat and mindful of their surroundings. The bed was pieced together in less than 5 minutes, all parts were included - nothing missing. It arrived in excellent condition, very sturdy, drawers open and close easily. Excellent quality product. Will definitely consider a purchase from your company in the future. I have been using furniture from Gothic Cabinet Craft for years. It's my favorite furniture store in New York because whatever your order, you can pick from a variety of many different finishes. I have moved several times and always ordered the platform beds from here as well as dressers. My last purchase last month was for my mom who moved to a smaller apartment so I ordered the same platform bed I have with drawers. The delivery is impeccable, they put the bed together and clean up everything. Very professional. 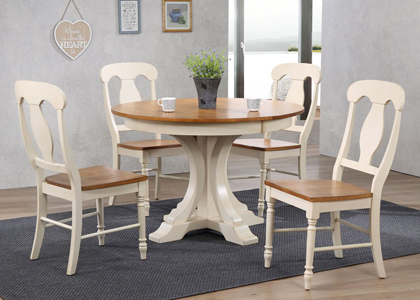 Gothic Furniture is a manufacturer of quality wood furniture since 1969. Gothic Furniture is a manufacturer of quality wood furniture. For over 50 years we have focused on providing not only beautiful furniture but also functional designs that provide unparalleled storage solutions. 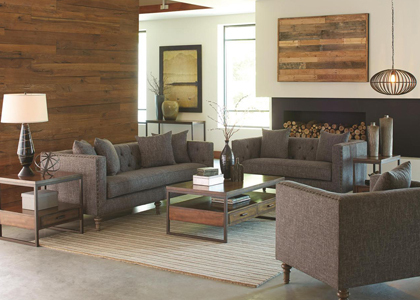 Our collections include furniture for bedrooms, home office, living rooms, dining rooms, and for any room of a home. In order to provide our customers with unlimited options, our furniture is offered unfinished or with a choice of over 20 colors. Our designs have been inspired by the many different furniture styles of the past such as Early American, Arts & Craft, Shaker, and Mid-Century Modern. With this focus on tradition and the use of real wood materials, our furniture stands the test of time in design and durability. We are also proud to offer custom furniture design services. Thanks to our state of the art factory located in New York City, we are unbeatable when it comes to custom furniture solutions, including storage cabinets, desks, bookcases, closet systems, kitchens, and much more. Our talented designers and skilled craftsmen are ready to help you create the furniture of your dreams from concept to your home. From custom entertainment wall units, loft beds, murphy beds, and radiator covers to simple cabinets and shelving, Gothic Furniture can do it all. We believe that a well designed and manufactured piece of custom furniture is an investment for your home and we take great care in providing the best value in terms of design, quality, and functionality. Not only do we manufacture furniture for the home, but we also provide services for commercial work. Visit our “Custom Furniture” page to view lobbies, conference rooms, retail spaces, and office environments that we have successfully designed and installed for our clients. We take great pride in manufacturing our products in the USA using quality American and imported materials.